The DNM750L, the largest of the 3 machines has a table size of 2160x762mm with the DNM6700 having a slightly smaller table at 1300x670mm, lastly is the DNM5700 with a table size of 1050x570mm, all machines have a 30 station tool changer. All machines have the option of a 4th axis attachment and are fitted swarf conveyors and Renishaw probes. 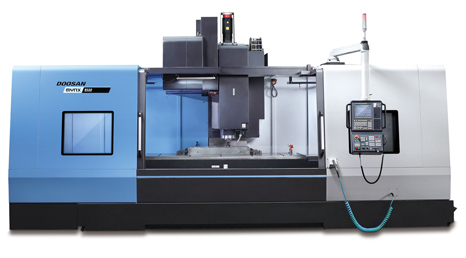 220 Lynx LSY 5 Axis. 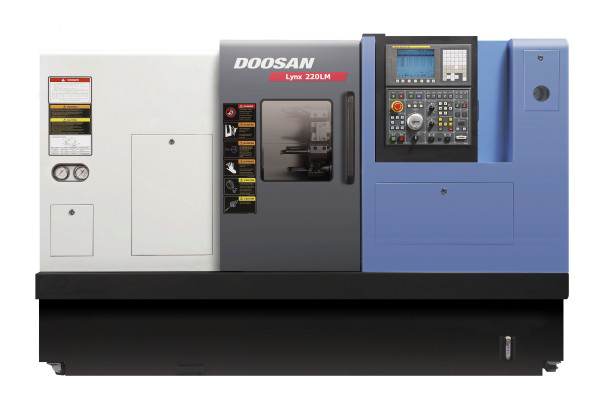 Turning is taken care of by a Doosan 220 Lynx LSY 5 Axis CNC lathe. This machine has an 8” chuck with 65mm bar capacity, is fitted with both part and swarf conveyors and also has driven tooling and a twin chuck. This has been coupled with a 1 metre, 60mm capacity multi feed automatic bar feeder. This allows lights out production to reduce manufacture time and costs and increase capacity. Introduced in January of 2015 we built a large library of tooling to offer a wide range of part features.